Such a beautiful morning! I really love this beautiful song from Soha- Mil Pasos. Today's post is not about music, so don't worry. I made a new creation for Sizzix. You should check the website for awsome deals and inspiration. I had this idea one night. Why not make a star box? So complicated but yet , so easy. Check out the result. This is such a beautiful box for a mini present. Of course you can create any size and as tall as you like. Let me know in the comments below if you'd like to learn how to make this box. Big sale now over at Sizzix!!! !Up to 75% off !!! I am back with a quick creation. Today I will share a quick tip on how to create a nice background using makers and alcohol. You can create your own piece of artwork using stamps, watercolor pencils and markers. Just give it a try! For creation I used the new stamp set Let your dreams fly high from Whiff of Joy. Check out the tutorial I made over at Whiff of Joy blog. Feel free to like my Facebook page for updates. Have a wonderful day! Morning and HAPPY EASTER blogcreatures! Who's ready for a great blog hop with Whiff of Joy , today???!! I am for sure! 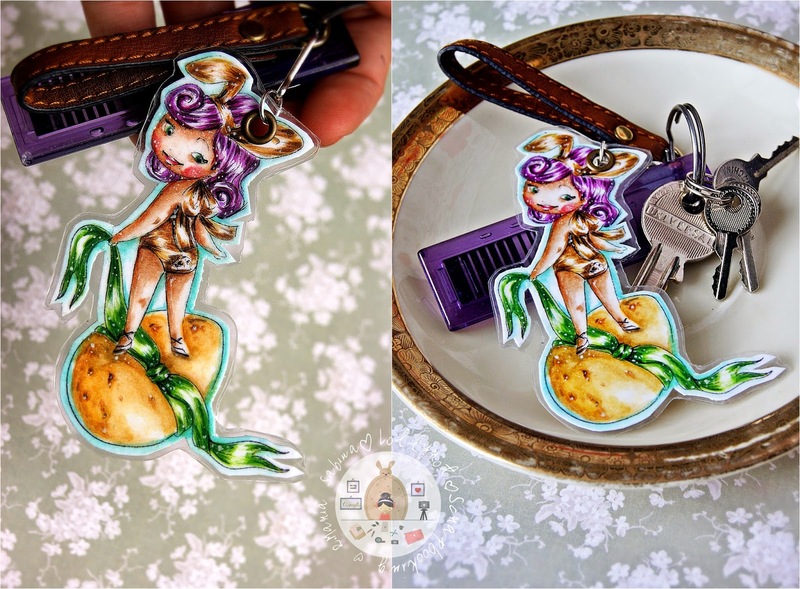 For today's creation, I made a tag using the new rubber stamp: Together Forever Kitty+ Maya , Charming Doily die and of course the awsome key charm from the Box of Charms set. Make sure you check out the shop. · Maria Sabina Raita YOU ARE HERE!!!!!! Busy day, today! Easter is right at the corner and we have to make sure everything will be ready by tonight. Today I'm sharing my second creation for Whiff of Joy. For the card below I used two new goodies from Whiff of Joy. I used the rubber stamp Cherished Friend Owl- Simply Maya and the new doily die, Charming Doily Die. Keep an eye on my blog and Whiff of Joy blog! The new goodies will be available as of April 20th over at Whiff of Joy. Also, make sure you blog hop with us tomorrow! Wishing you a great and happy Easter time with your friends and family! PS: My mom is the artist behind the eggs. I'm so proud of her! If you have questions, please let me know in the comments below! If you are fan Whiff of Joy, you should already know the great news. Our design team has really great creations to share this week, using new goodies from Whiff of Joy. Today I have a quick creation to share, using one of the new stamps Spring Bees- Simply Maya and the new die Cutterly. I made a get well goodie bag using an envelope. You can check out my tutorial on how to make an envelope bag. For the top edge I used the Fancy Hearts border die from Whiff of Joy. Keep an eye on Whiff of Joy blog/ website for the big blog hop , coming on the 20th this month. Who wants free rain? I can send some, because I really don't like dull days. However, something makes me happy. The new challenge: Pastels over at Lia Stampz. For today's challenge, I made a keychain decoration, using one of Lia Stampz designs called: Easter Girl. You can check out Lia Stampz blog for more information about the new challenge and digi designs. Are you ready for Easter? Have a happy Easter time with your family and friends! Thanks for stopping by and see you soon with a new creation. Have a great day! YEYYYY!!!! If you are a fan of Stampotique Facebook page you may have already gotten a sneak peek of some of the new images we are excited to be releasing today. We hope you will join us for the blog hop to see a variety of those images. We think you will find a few stamps that you can't live without. You should have arrived to my blog from Claudine Criner, if you did not arrive from there you may want to start the hop at the Stampotique Designer's Challenge blog. When you are finished visiting my blog you will want to hop on over to France Papillon. Glitter Chevron card / GREAT NEWS!!!! I have A M A Z I N G NEWS!!!!!!!!!! I am happy to announce, that I am now part of the SIZZIX blog Design Team! You can find awsome talented crafters and amazing creations! Have a look! Today is my very first time sharing a creation using Sizzix dies! Seriously awsome designs! The great thing about these dies, is that you can use: paper, chipboard, fabric, felt, to create beautiful projects. For today I made a card using G L I T T E R! A lot of it! I don't really use so much glitter in my creations, but this time I put enough!!!! Or maybe not. For this card I used two different dies from Sizzix. Below you can find a quick tutorial on how to make this card. This is the perfect time to use glitter. PS: Once you are done making the glitter background, use hair spray to keep everything in place. Check out Sizzix for more details. If you have any question, please let me know in the comments below. Have a great day! The weather is so beautiful today! Ahhhhh... beautiful Spring! Today it's Stampotique time! We have a new challenge from our DT member Magda. 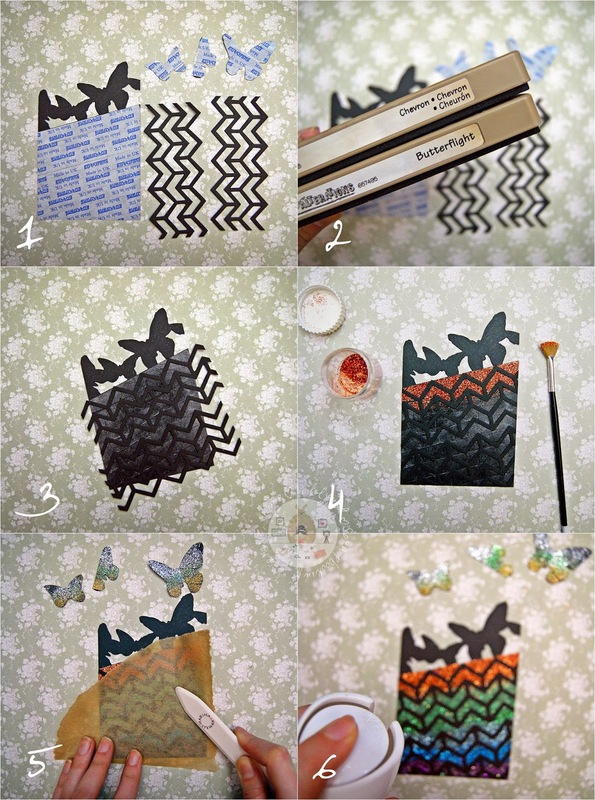 Use paint or pens in your Stampotique creations. For today's creation I made a card using pastel colors, because why not! I used copics , promarkers and alcohol for the background. The stamps I used: Dragonfly and Dragonfly Verse, both from Stampotique. Also, we have a new YT channel. Feel free to have a look and subscribe. Have a great day! If I could choose an era, I'd go back in the 1800s. I really like watching movies such as: Oliver Twist, Marie Antoinette,Nanny Mc Phee - which is my favorite etc. Today is my turn to share a creation for I Am Roses. 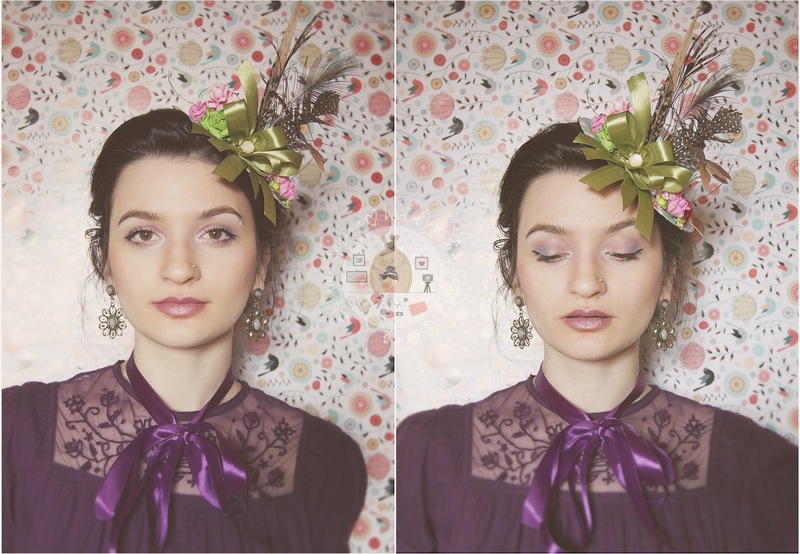 The IAR paper flowers are so beautiful and I had to make a mini top hat. For the hat base, I used heavy chipboard, cardstock and pattern paper. If you read my blog, then you should know that I don't really work with templates. So I'm sorry for not having a full tutorial on how to make the base of the hat. 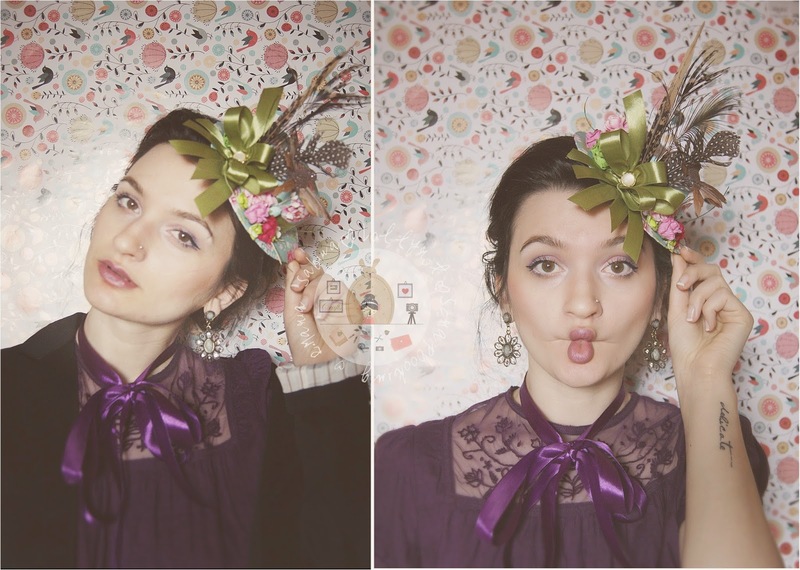 However, I have a quick tutorial for you on how to decorate a mini hat. All flowers used in this creation : S10, R21, T30, ST1,T25 and R40 are from I Am Roses. Feel free to watch the video tutorial over at IAR YT channel or my channel. Also, stay updated with my creations on my Facebook page. Today's time for I Am Roses blog challenge. If Easter is around the corner, then let's create something for this holiday, using egg shapes or why not, real eggs and IAR flowers. You can find these gorgeous flowers over at I Am Roses. If you want to play along for our new challenge, with our great design team , then please read the details over at IAR blog. If you have questions my creations, products , etc... please let me know in the comments below. Have a wonderful day!